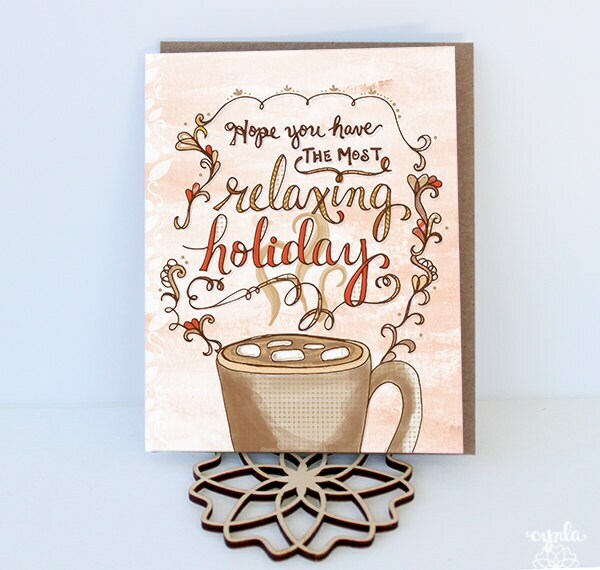 Hope you have the most relaxing holiday. Complete with a steaming big mug of hot chocolate. Recipe on the back. This design was hand lettered and illustrated using ink, watercolor and digital coloring. Boxed sets include a discount and additional shipping. Please select your quantity at checkout. 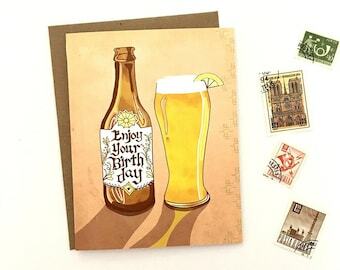 - Printed on 100% recycled paper in the U.S. 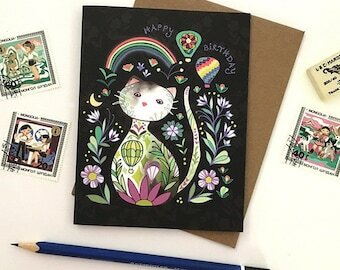 Always love cynla's designs and card/envelope quality! I'd already bought a bunch of these for New Year greetings. It turned out I needed more, and she shipped quickly. 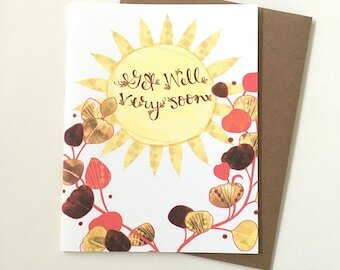 Still shopping cynla's designs for all my card needs after a few years! Bought a bunch of these lovely, unique card sets for our family's New Year greeting to a diverse group of friends and family. Art work is great. Entire ordering experience gets 5 stars.